The future of how business gets done - is now. In the age of digital disruption, intelligent automation is shaking up how business gets done. Organizations that do the best job of combining artificial intelligence with automation will come out on top. 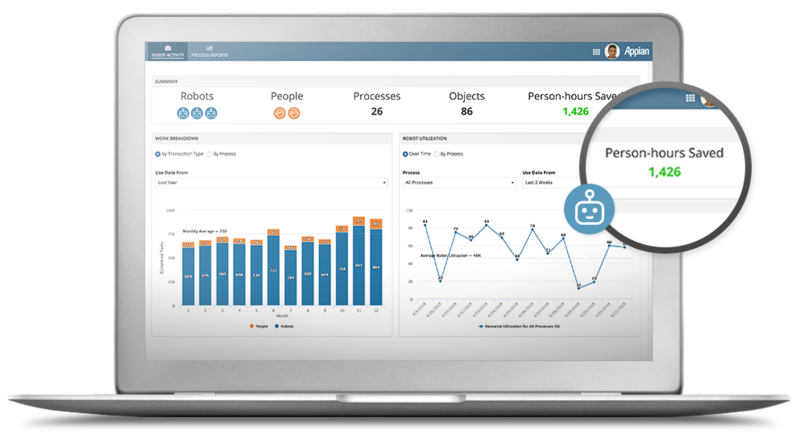 Intelligent automation combines the speed and power of BPM, machine learning, and RPA with low-code development to crush your business goals, optimize customer experience, and set you apart from the rest of the pack. Empower your organization to work faster, smarter and better, so you can focus on what matters most. Orchestrate actions across users, robots, systems, and artificial intelligence with agile low-code and drag-and-drop tools for repeatable success. Make your apps smart using AI and machine learning with Appian’s native AI services and no-code integration to AI/ML platforms from Google Cloud, Amazon AWS, and Microsoft Azure. 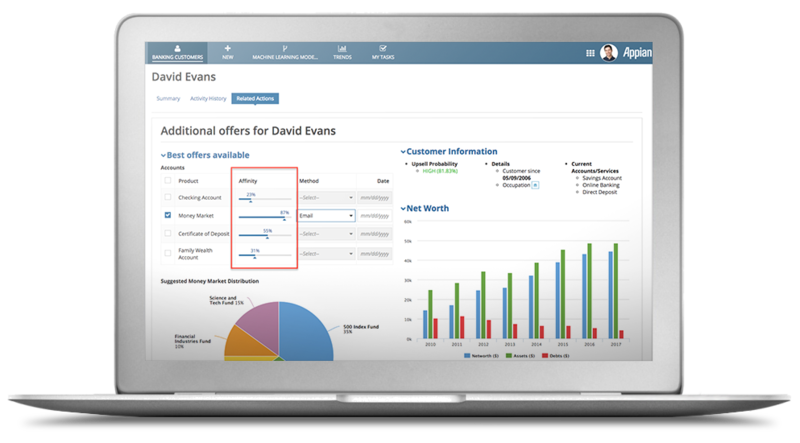 Easily design, execute, manage and optimize enterprise processes to improve operational efficiency and customer engagement. 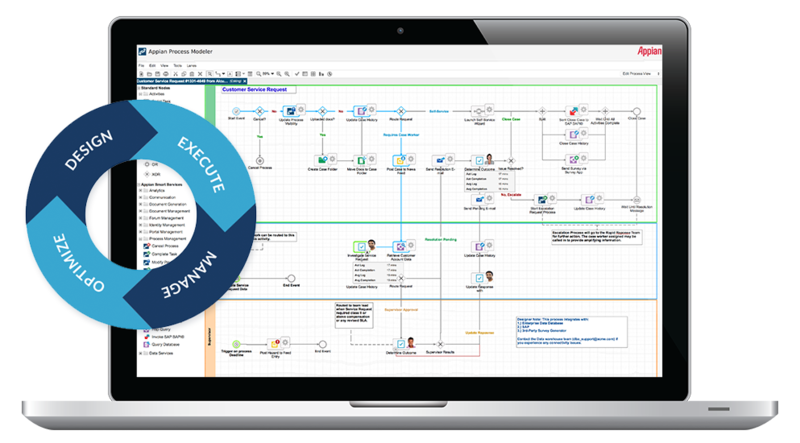 With Appian’s powerful process engine, enterprises can easily orchestrate both human and system actions into automated process flows. 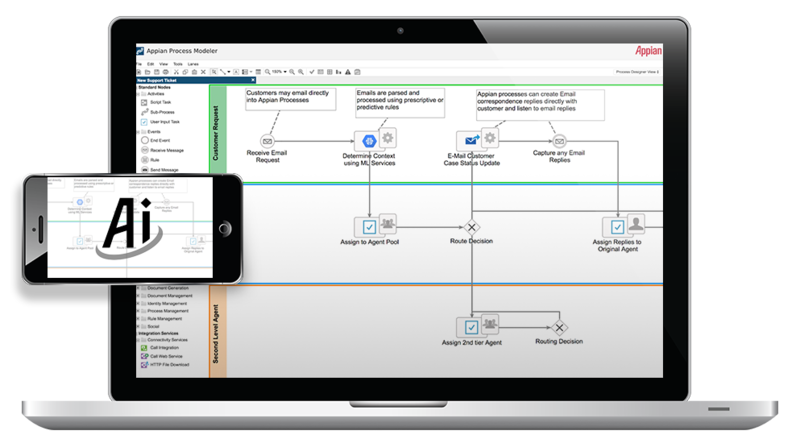 Improve business and IT collaboration with visual BPMN-based design tools that make it easy for business users to understand and IT to rapidly automate. Free up your employees to focus on what matters most— your customer. Use Appian RPA with Blue Prism to automate routine, repetitive tasks across your organization. Complete your processes faster, eliminate errors and lower operation costs by bring people and systems together into completely automated processes. Boost your business outcomes by making your applications smarter. No PhD in data science or knowledge of AI/ML required. Appian makes AI very simple with a visual, no-code, approach for quick and easy implementation, creation and setup. Start simple and scale quickly with Appian’s built-in AI or services from technology partners Google Cloud, Amazon AWS, and Microsoft Azure. With Appian, AI services are just a few clicks away to optimize the customer journey, streamline customer onboarding, speed time to revenue, and grow. Unite and maximize the value of your existing enterprise data, systems and web services without coding. Appian helps you get the most ROI out of your systems, data repositories, modern and legacy using simple, no code tools. Building bridges across your systems and data happens fast and problem free with the visual Appian Integration Designer. 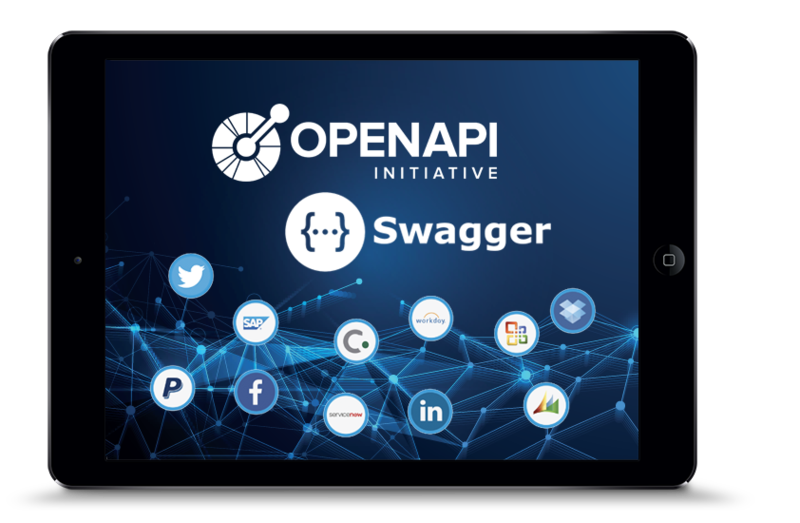 The Appian platform makes it easy for organizations to build smart applications using intelligent automation to deliver business impact, increase customer engagement and improve worker efficiency.